The ICC’s first-ever verdict is in. Any way you cut it, the guilty verdict issued today against Thomas Lubanga for his use of child soldiers is a landmark ruling. But will it have any effect on the conscription of child soldiers in the future? The trial, verdict and sentence will undoubtedly (and hopefully) have a deep effect on the practice of the ICC. That being said, many of problems that marred the trial cannot be ascribed to the Court’s “growing pains”. At times the prosecution played a game of fast-and-loose with the law to such an extent that it threatened the possibility of ever getting to today’s verdict. As many commentators have pointed out, the trial has been riddled with problems from the very get-go. 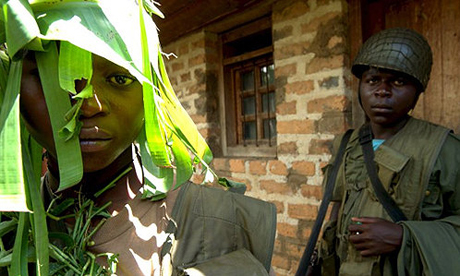 The Office of the Prosecutor has been criticized by a myriad of human rights groups for its myopic approach to the case, focusing only on Lubanga’s use of child soldiers. While the belief is that the narrow focus was chosen to ensure that the trial moved along efficiently, the prosecution hasn’t been particularly forthcoming with its reasoning. As Kevin Jon Heller notes, “for reasons that still have never been adequately explained…[the prosecution] declined to bring more serious charges against [Lubanga], even though he had been facing murder and torture charges in the DRC.” Neither is a five-year trial anyone’s gold standard for efficiency. The prosecution’s use of ‘intermediaries’ (see also here) to gather evidence on the ground was also widely and vehemently criticized. The ruling judges, in law-speak, agreed that the prosecution had handled ‘intermediaries’ disastrously. Twice (twice! ), judges ruled that the prosecution’s behaviour amounted to a denial of a fair trial, suspended proceedings and ordered Lubanga to be released (on both occasions the rulings were reversed on appeal from the prosecution). The trial of Lubanga has been so rife with controversy and problems that it was not clear that a unanimously guilty verdict would be handed down. Many believe that one judge in particular, Adrian Fulford, would issue a dissenting ruling. Richard Walker writes that “A collective sigh of relief was breathed by the ICC Chief Prosecutor Luis Moreno-Ocampo and his successor Fatou Bensouda who sat side by side listening anxiously to Presiding Judge Adrian Fulford” deliver the Chamber’s ruling. Before anyone pops open a champagne bottle, it is important to remember that it is far too early to call the Lubanga verdict a victory for justice and for the victims and survivors of the conflict. The trial-chamber has not yet issued a sentence and it is anyone’s guess what punishment will be meted out. Importantly, the sentence will have palpable effects on the ground, where fear and anticipation is high while opinions are sharply divided. Notably, Lubanga has been in detention for seven years. Thus, if he receives a sentence of ten years, he will be a free man in three. Most educated guesses peg the sentencing at 10-15 years. Undoubtedly, the decision by Prosecutor Luis Moreno-Ocampo to restrict the charges to those pertaining to the use of child soldiers will come under heavy fire if the sentence is relatively lenient. Criticism will only intensify if the prosecution’s controversial use of intermediaries is taken into account and it wouldn’t be surprising if it did. 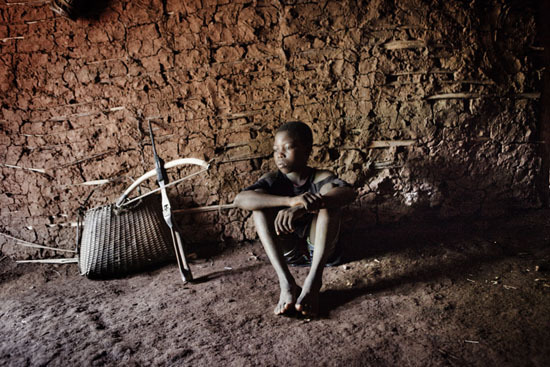 But outside of the effects on the Court, the big question remains whether or not the ICC’s decision has any impact on the future use of child soldiers. The answer ultimately depends on whether or not the Court has a deterrence effect. As I have written elsewhere, the question of deterrence is ultimately problematic (see also here). It can’t be proven to occur and can only be disproved. The burden of evidence is heavily against the view that deterrence in fact works or happens. As a signal, unlike the over-simplified Invisible Children campaign, the Lubanga verdict could have a real effect on the future use child soldiers. Hopefully the verdict can move the discourse beyond the diluted take on the use of child soldiers in conflict offered by ‘KONY2012’. However, the Lubanga ruling is unlikely to receive nearly as much attention – and that’s just sad. This entry was posted in Child Soldiers, Democratic Republic of Congo, Deterrence, ICC Prosecutor, International Criminal Court (ICC), Lord's Resistance Army (LRA). Bookmark the permalink. I think deterrence is problematic in the sense that it can’t be shown to work – a methodological problem. But, I don’t think that is in contradiction to saying that rulings have a demonstration effect that could lead to deterrence, if only in the long-run. In other words, while claiming deterrence necessarily works, it isn’t problematic, in my opinion, to say it may work. I see. Not trying to be quarrelsome or anything (I think this blog is great!) but I have another question. If it cannot be shown to work, then it seems unwarranted to say it definitively does work (which you aren’t claiming) but then, how can the claim be made that this expectancy of deterrence will be more effective than KONY 2012? Thanks again Paul and no worries about being quarrelsome! I think the possibility of deterrence in the case of the verdict is more likely that the video because the verdict constitutes ‘punishment’ or ‘retribution’ (which we can argue may have a deterrent effect) while KONY2012 has not had (and in my view is not likely to have) any tangible deterrence effect. 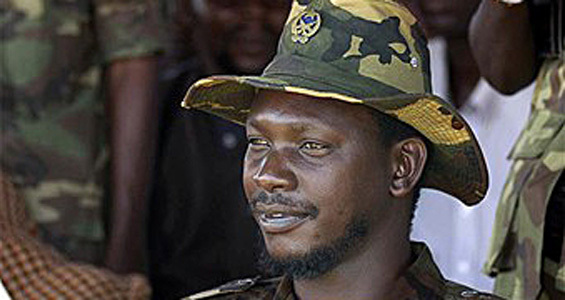 There’s no theory out there that says wearing bad guys’ faces on a t-shirt and starring them in videos will deter them from committing crimes but there is evidence that military operations against the LRA cause more atrocities – the LRA retaliated after both Operation Lightning Thunder and Iron Fist. I hope that helps clear things up a bit! I think that for starters, the ruling is not only a landmark ruling, but the criticism of the prosecutor’s office use of investigative intermediaries means that this might not only cease, but may be reduced considerably. Being a new court, the time taken on the case is awfully long and time in such cases are is of importance. Maybe we can call this the baby steps of the ICC. It is important to us Kenyans mostly as we have the #Ocampo4 awaiting trial to commence any time soon. We were watching this conviction carefully. My final submission is that this ruling is a lesson to the entire ICC Justice system…from judges, trial chamber, prosecutor’s office and the accused. Next ruling has to be ‘better’ that this one….in all parameters.